"The Studio Sweethearts only played live once and it was at Digby Stuart College in Roehampton on 10th March 1979. 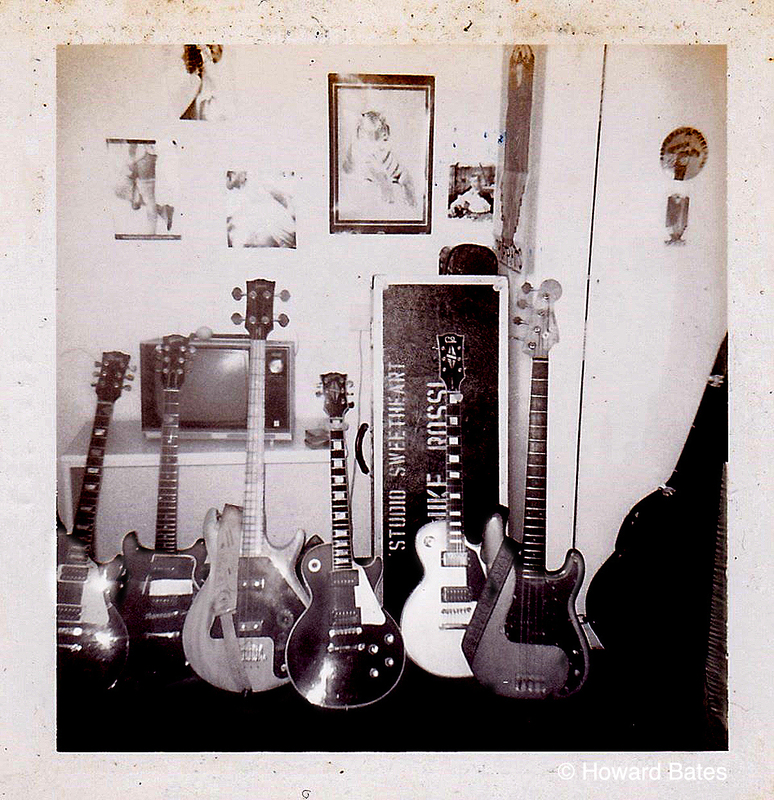 This polaroid was taken by bassist Howard Bates in the dressing room and shows all the guitars including my two on the left… an Ibanez Les Paul Copy as well as a real Gibson Les Paul Special. At the time a lot of guitar “peeps” were saying the Ibanez Les Paul copies were actually better than the Gibson ones being made... also a hell of a lot cheaper which is probably why I tried one out. Pretty soon after this, though, I traded both in and got a cream Gibson Les Paul custom... I think somewhere between my time with the Andy Blade Group and Lonesome No More!! It’s interesting that Mick Rossi was calling himself Mike at the time as can be seen on the stencilling on his guitar flight case!"